We have all seen the signs of heavy drinking in the form of loss of motor skills, blurred vision, slurred speech, and staggering. Anyone who has been engaging in drinking will experience problems with coordination, judgment, and balance. Such a person will also have a slow reaction to any stimuli explaining why it is hazardous to drink and drive. All the above physical indications of heavy drinking usually occur due to the effects of alcohol on the central nervous system as well as the brain. The symptoms usually last for a few hours depending but this will depend on how much someone has had to drink. The toxic substance gradually leaves the body and the side effects will self-resolve to leave an uncomfortable hangover behind. However, when you start drinking alcohol heavily and regularly, the serious cognitive side effects of alcohol will start lingering even when you are not intoxicated. With time, excessive drinking may result in severe brain damage, which also includes wet brain and irreversible memory loss. Alcohol has an effect on one’s brain chemistry by altering neurotransmitter levels. These neurotransmitters, which are chemical messengers in the body, play a role in the transmission of signals responsible for controlling one’s emotions, behavior, and thought processes all through the body. Neurotransmitters can be either inhibitory or excitatory. Inhibitory neurotransmitters will reduce electrical activity by the brain while excitatory neurotransmitters usually stimulate electrical activity by the brain. 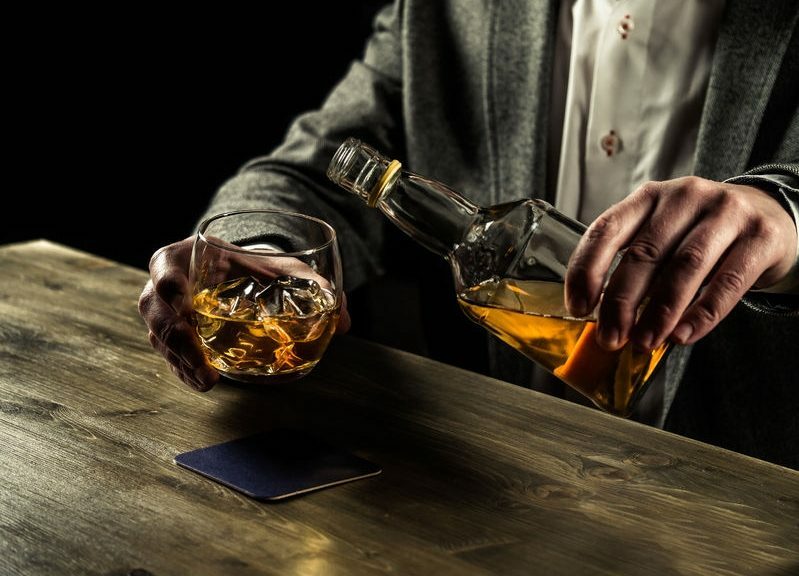 Alcohol typically advances the effects of inhibitory neurotransmitters in the brain such as GABA, which is responsible for the sedative side effects such as slurred speech and sluggish movements exhibited by an alcoholic. The more alcohol consumed, the slower the body and the brain react to stimuli. Alcohol will also affect glutamate, which is an excitatory neurotransmitter, at the same time by inhibiting its activity. Suppression of this stimulant will give rise to a similar kind of slowdown in the individual’s physiology. Aside from reducing the glutamate levels and increasing GABA levels in the brain, alcohol will also increase dopamine levels in what is deemed the brain’s ‘Reward Center’. Dopamine is thus responsible for creating pleasurable feelings whenever someone takes alcohol. This release of dopamine chemical makes the body think that drinking alcohol is pleasurable for the body. As time goes by and a person continues drinking more alcohol, the effect produced by dopamine in the body minimizes to the point where it is almost absent. At this juncture, the person will find himself/herself addicted to the feeling produced by dopamine release within the brain’s reward center, even when they are not experiencing it anymore. 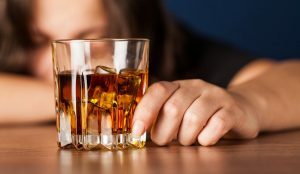 Addiction to alcohol will take control of the person once this compulsive need to keep turning to alcohol for this dopamine release is developed. In the real sense, alcohol consumption changes the chemistry of the brain such that it may advance feelings of depression down the line. Additionally, if one drinks a large amount of alcohol within a short period, this can cause a period of memory loss usually referred to as a blackout. The effect of alcohol on the brain can be felt after a single drink for some or after a few drinks for other people because they will have to drink larger amounts of alcohol to feel drunk. No matter how many drinks it takes to experience the side effects of alcohol, it actually starts affecting the brain from the moment it enters your body. Anyone who is abusing alcohol might sustain lifelong injuries that are also serious. Alcohol can give off a few short-term effects in occasional drinkers after taking a drink or two. Impairment of memory may begin after one has taken several drinks but it can be aggravated with increased alcohol consumption. 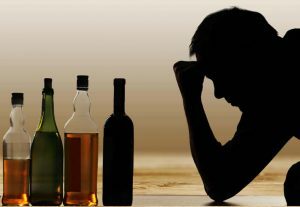 When one takes a high amount of alcohol particularly on an empty stomach, he/she may experience a blackout devoid of any long-term mental issues. Drinking moderately will not protect one from the cognitive impairment brought about by drinking as well as the hazardous consequences resulting from it. Heavy drinkers, unlike moderate and occasional drinkers, can develop problems with their brain functioning over time. These problems can continue even if one attains sobriety. This means that cognitive problems stem from brain damage caused by drinking and not from the drinking itself. Long-term abuse of alcohol can have a negative effect on the brain’s chemistry such that cognitive problems continue even when one stops drinking completely. Most long-term alcohol abusers who are also heavy drinkers will have mild to moderate deterioration of their intellectual functioning not to mention diminishing of brain size. The most frequently occurring cognitive impairments correlate to one’s perceptive and visual-spatial abilities. Abstinence from drinking in alcoholics can bring about withdrawal symptoms such as delirium tremens possibly including auditory or visual hallucinations, anxiety, shakiness, nausea, and sweating. When one takes alcohol, the liver breaks it down to form nontoxic by-products. However, excessive consumption of alcohol renders the liver incapable of handling the required demands so the alcohol will remain in the individual’s blood stream. Alcohol’s effect on a person’s brain will depend on his or her BAC or blood alcohol concentration. The increased BAC will interact with the person’s brain via their blood-brain barrier. Once alcohol gains access to the central nervous system, it will cause changes in the individuals’ behavior. This occurs when alcohol acts on particular regions in the brain that are sensitive to any chemical alterations. Which Regions of the Brain are Affected By Alcohol? Alcohol stimulates this pathway located in the brain to release dopamine, which results in feelings of pleasure. The mesolimbic pathway is the main pathway that is associated with addiction, whereby continuous stimulation of this pathway makes it so that more of the addictive substance is required to generate the same degree of pleasure. According to research, when a pathway is activated repeatedly (e.g. by drinking) then it becomes coated in a glue that is mesh-like making it harder to beak old synapses or generate new ones. 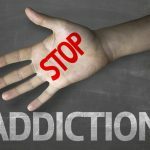 This forms a pattern held together and ingrained in a certain way within the brain explaining why it is so difficult to overcome an addiction. This area of the brain is used in impulse inhibition, social conduct, judgment problem solving, goal setting, planning, motivation, and decision-making. Neuropathological research has indicated a significant decrease in the number of neurons in alcoholics’ prefrontal cortex. These studies also showed a reduction in overall brain mass in comparison to non-alcohol drinkers. Any damage to the prefrontal cortex/frontal lobe can cause personality and emotional changes. This region is situated in the mesolimbic system and it is typically involved in emotion, spatial navigation, and motivation, not to mention it is important for memory formation. Evidence indicates that the hippocampus might have a role in anxiety and fear. Additionally, the hippocampus is one of the neurogenesis sites within the adult brain. The process of neurogenesis involves formation of new brain cells from stem cells, which are undifferentiated cells capable of giving rise to any kind of cell. Research proposes that increasing alcohol amounts will disrupt the new cell growth resulting in a deficit in particular regions like the hippocampus. This, in turn, causes reduced memory and learning. Neurogenesis in the hippocampus is a resilient process as it has been indicated to go back to normal following one month of abstinence from alcohol. However, there seems to be an enhanced chance of relapse. This makes up roughly 10% of the overall brain weight but it only has half the number of neurons in the brain. It is responsible for coordinating eye movement, balance, and voluntary movement. It is also assimilated into the body’s circuitry responsible for emotion and cognition. Abusing alcohol can cause atrophy in the cerebellum’s white matter. This is part of the limbic system as well and it connects various systems in the body. The hypothalamus is involved in emotion, hormone regulation, temperature control, drinking/eating, regulatory functions, memory, and learning. Permanent damage or long-term hippocampal damage caused by alcohol results in memory deficits after which amnesia may follow. This region is situated in the temporal lobe and it is connected to the thalamus, the hippocampus, and the prefrontal cortex. The amygdala helps one identify danger and it helps to mediate one’s emotions. This is the region of the brain responsible for automatic functions such as body temperature, consciousness, and breathing. Alcohol induces sleepiness when it acts on the medulla. It can reduce one’s body temperature and slow down breathing and this can be life-threatening. If one continues abusing alcohol repeatedly over a long time, the brain will be affected in toxic ways. Depending on the part of the brain that has been damaged, one will experience symptoms such as a lack of coordination, poor memory recall, impaired judgment, reckless behavior, and depression just to name a few. This is a collective batch of problems referred to as ARBI or alcohol-related brain impairment. Frequent heavy drinkers have a higher likelihood of experiencing ARBI but binge drinkers also have a risk of having any of the above-mentioned impairments. Most of the symptoms associated with ARBI can be reversed by abstaining from alcohol for months to a year to give the brain some time to correct these structural changes. Abstinence from drinking after a long period of drinking heavily can also help in the improvement of one’s problem solving, memory, and attention skills. Wet Brain or Wernicke-Korsakoff syndrome is a certain kind of brain damage that stems from heavy, repeated alcohol exposure. Wet brain develops in response to a thiamine or vitamin B1 deficiency. People who abuse alcohol on a regular basis usually have a resulting poor diet thus they do not get the daily-required thiamine amount in their diets. Alcohol also restricts the body’s thiamine absorbing abilities, which leads the body to survive on whatever thiamine is stored in the liver until it is depleted. There are two stages of Wet Brain, Wernicke’s encephalopathy, and Korsakoff’s psychosis respectively. The first stage of wet brain, which is referred to as Wernicke’s encephalopathy is usually a result of biochemical lesions occurring on the nervous system. These lesions can give rise to impairment of one’s muscle coordination, paralysis of the nerves that command eye movement the symptoms may improve if this stage is treated using thiamine injections immediately. The second stage, referred to as Korsakoff’s paralysis stems from permanent damage of the area of the brain that plays a role in memory. Individuals with Korsakoff’s psychosis might experience auditory or visual hallucinations, problems making new memories, and severe loss of memory. The bad news is that roughly 80% of patients with Wernicke-Korsakoff who also abuse alcohol will get the Korsakoff’s psychosis gradually, which is the most serious phase of the condition. 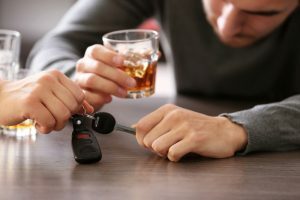 Complete recovery from the symptoms of wet brain might be unlikely for this condition, but some of the symptoms may be treated as a means of reversing negative side effects resulting from alcohol abuse. This is damage caused to the brain due to liver failure. The liver is one of the body’s most crucial organs as it is responsible for screening out any toxins from one’s blood stream. 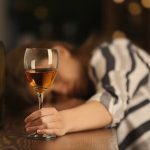 A person who is dealing with the problem of alcohol abuse will have a severely damaged and overworked liver as it tries to eliminate the toxic alcohol from the blood. Failure of the liver to function will mean that toxic chemicals can go to the brain to cause sudden mood changes, disorientation, slurred speech, lethargy, and coma in severe cases. According to research, the risk of heavy drinkers developing dementia is increased three-fold than in comparison to other people, Dementia caused by alcohol comprises of Korsakoff’s psychosis and Wernicke Encephalopathy. The brain is a unique organ with an amazing feature that causes it to self-repair. One of the primary factors affecting the brain’s functional recovery can be referred to as neuroplasticity or brain plasticity. This characteristic allows the brain to handle any kind of damage it experiences and adapt to any new activities or learning that we acquire. The brain is capable of healing from damage caused by alcohol in most people. If one begins to abstain from drinking in time, then the physical damage caused due to heavy drinking can be reversed. In order to view the damage caused and measure any improvement to the tissue in the brain, Magnetic resonance imaging or MRI studies are typically used. These studies have indicated that any gray matter volume lost from chronic alcohol abuse can start regenerating as soon as 2 weeks following abstinence from alcohol. A study scanning alcoholics after they abstained for three weeks found that they had an increase in brain tissue. However, there was no significant increment in brain matter for patients who ended up relapsing from their recovery within three months of starting. This goes to suggest that relapsing can and will reverse any rapid regeneration of brain tissue that may have occurred following abstinence. Research involving alcoholics after they had abstained or moderated alcohol use for 6 months indicated continuous advancement of brain tissue, which was found in patients who had taken small volumes of alcohol. This suggests that damage to the brain tissue is mainly caused by chronic or heavy alcohol use. In the same way brain damage results in cognitive impairment, healing of the brain tissue improve the cognitive performance. Cognitive improvement and other improvements caused by healing of the brain tissue results from the brain adjusting to the damage caused and generating fresh pathways to finish tasks affected by neuron pathways and damaged due to alcohol abuse. The most evident advancement in cognitive function usually starts 12 months into abstinence from drinking but the longer an individual abstains from alcohol, the better the improvements. Some research has also shown that working memory and attention were improved significantly in patients who abstained from alcohol for a period of one year at the very least in comparison to those who abstained for less than that. The structure of the brain can also recover due to the increased volume of the hippocampus during recovery. This region of the brain is typically affiliated with memory function. 2 Weeks: A recovering alcoholic will have several thinking deficits after this time in recovery. 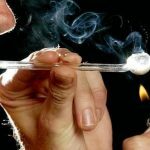 This can give a clue as to why the initial weeks of abstinence have high relapse rates. 2 Months: At this time, the patient may feel the irritability, confusion, and distractibility that they experienced before dissipating. The recovering alcoholic may be expected to be more clear-headed and calmer than they were before. 5 years: 2 months to 5 years after abstaining, the recovering individual can experience extraordinary cognitive improvements and complete recovery of the brain. Issues such as reduced visual-spatial abilities, reduced mental flexibility, short term non-verbal memory, and abstract non-verbal reasoning may still be there but the rest of the cognitive functions will be back to normal. 7 years: The average recovering alcoholic will have made an almost complete recovery back to regular functioning. However, some of the irreversible damage caused may still be felt as the reduced visual-spatial abilities continue. After the brain has undergone excessive damage caused by alcoholism, you always have the option of starting a journey to help with recovery. One of the most important contributing factors towards a person’s recovery and healing is abstinence. Recovery programs offer effective programs for alcohol rehabilitation that aim for a clean and sober lifestyle after a successful recovery. These programs run for different lengths of time and they mainly depend on the client’s needs. 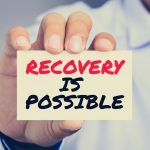 Recovery programs offer assistance through all the recovery stages ranging from alcohol detox all the way to the sobriety stage. 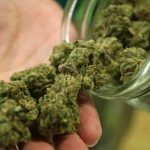 There are also varying treatment options that include medications, mutual-support groups, and behavioral treatments to make sure the client has a choice regarding the most ideal treatment option suited for them. 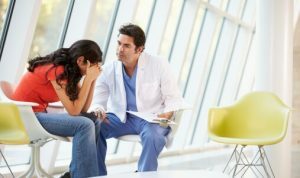 Behavioral treatment or alcohol counseling essentially refers to the recovering individual working together with a health professional to identify behaviors that led to drinking in the first place and correct them. 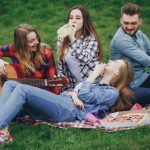 Mutual support groups, which are programs providing peer support to patients who want to quit alcohol, are an effective treatment option particularly when used with other treatments offered in the recovery program. Medications are used for another kind of rehabilitation in order to keep the patient from relapsing. These medications typically work by counteracting specific alterations in the brain caused by alcohol. This may sound like a convenient rehabilitation option but medications have been shown to be ineffective for some patients. Recovery programs typically offer professional alcohol detoxification together with healthy methods for the treatment of alcohol addiction. In order to ensure the treatment program is efficient, psychological treatment that is based on the 12 steps one is given following detox. Each client is typically provided an opportunity to prevail against alcohol addiction and its damages as the staff does everything possible to meet their individual needs. Alcohol detox programs help clients establish new habits and good connections by leaving behind the negative ones. Early treatment programs for alcohol addiction mainly focus on coaxing the patient to come out of social isolation, opportunities for exercise, and better nutrition. All this is done during the early days of treatment instead focusing only on psychological problems that are tied to alcohol dependence. According to research, new brain cell growth may also be encouraged through increased physical activity and learning experiences in combination with the other treatment options as mentioned before.